If you have any questions about the CAMELOT information page below please contact us. This motor yacht CAMELOT is a superyacht of well proportioned proportions. This 38 m (123 ft) luxury yacht was made at Royal Huisman in 1983. CAMELOT was formerly named the project or yacht name Thor Iii; Fox Ii. Superyacht CAMELOT is a sumptuous yacht that is able to accommodate as many as 9 people on board and has a total of 7 professional crew. 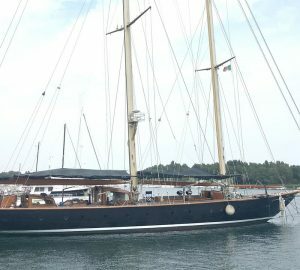 The naval architect whom authored this yacht's design work with respect to this ship is Willem De Vries Lentsch Jr. and Studio Bacigalupo. Studio Bacigalupo was the one who saw out her interior design. The yacht's general design work came from Willem De Vries Lentsch Jr and Studio Bacigalupo. The formal naval architecture intellectual property are a creation of Willem De Vries Lentsch Jr. Motor Yacht CAMELOT received her stylish interior designing from the interior design firm of Studio Bacigalupo. the Netherlands is the country that Royal Huisman completed their new build motor yacht in. After her formal launch in 1983 in Vollenhove the boat was afterwards handed over to the yacht owner following sea trials and testing. Her core hull was built out of aluminium. The motor yacht main superstructure is fabricated mostly using aluminium. With a width of 7.53 metres / 24.7 ft CAMELOT has reasonable internal space. A shallow draught of 2.19m (7.2ft) limits the amount of ports she can enter into, taking into account their minimum depth. She had refit improvement and modification undertaken in 2009. This boat contains twin efficient MTU main engine(s) and can drive at a industrious maximum limit speed of around 18 knots. The main engine of the ship generates 1300 horse power (or 1186 kilowatts). Her total HP is 2600 HP and her total Kilowatts are 2372. Coupled to the CAMELOT engines are twin screw propellers. For stabalisers she utilises Vosper. This yacht’s spirited cruise speed is 16 knots which offers a range of 1200. Providing volume for a maximum of 9 yacht guests overnighting, the CAMELOT accommodates everyone in style. This ship requires around 7 able crew members to maintain and sail. 37.5 metres / 123 feet. Total engine power output 2600 HP /2372 KW. Approximate Cruise Speed is 16 knots. 1200 at a speed of 12 knots. 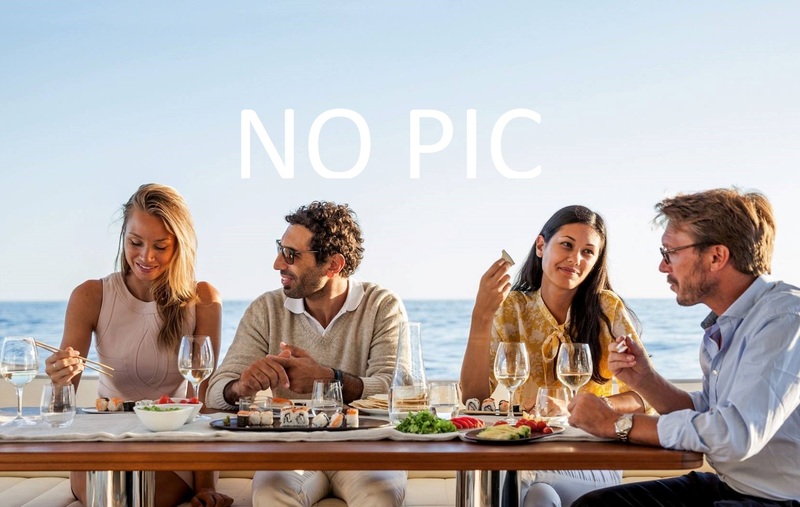 The luxury yacht CAMELOT displayed on this page is merely informational and she is not necessarily available for yacht charter or for sale, nor is she represented or marketed in anyway by CharterWorld. This web page and the superyacht information contained herein is not contractual. All yacht specifications and informations are displayed in good faith but CharterWorld does not warrant or assume any legal liability or responsibility for the current accuracy, completeness, validity, or usefulness of any superyacht information and/or images displayed. All boat information is subject to change without prior notice and may not be current.